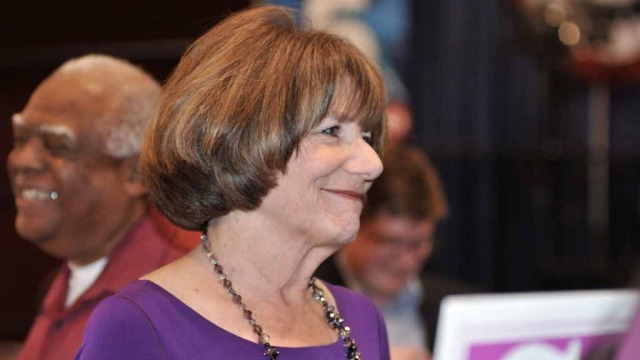 Rep. Susan Davis, D-San Diego, will meet with local life science leaders and disease advocacy groups Monday in Torrey Pines, to discuss the impending budget cuts to the National Institutes of Health. The group intends to highlight the role of NIH funding in life-saving medical research and its importance to the San Diego region in a medical research roundtable, according to a statement from Davis’ office. President Trump’s administration has proposed an almost 20 percent cut in federal investments in the NIH in the next fiscal year, according to Davis. Davis will be joined in the discussion by Jimmy Jackson, Senior Vice President and Chief Policy Officer of Biocom; Dr. Larry Goldstein, Director of the UC San Diego Stem Cell Program and the Sanford Stem Cell Clinical Center. That also includes P. Kay Coleman, Board Chair of the American Cancer Society of California; Susan H. Tousi, Senior Vice President of Product Development for Illumina; and Katrina Young, Patient Advocate for the Cystic Fibrosis Foundation. In April, Davis led 206 House members in urging a $2 billion increase in NIH funding for FY 2018. She led a similar drive for $2 billion for FY 2017, which was included in the Omnibus Appropriations Bill enacted this month.